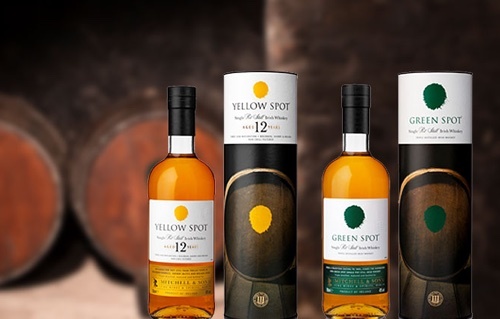 Just about a year after the long sought-after Green Spot Irish Whiskey landed in the US, Pernod Ricard has announced the arrival of Yellow Spot—the 12 year version of its younger, greener, sibling. And it will be a very welcome arrival, indeed. The buzz for the “Spot” series has been constant ever since Green Spot arrived in the US. Many, including myself, have given the whiskey high praise. But, frankly, I’m even more excited for the new whiskey. Unlike Green Spot, which saw continued production over the years, Yellow Spot was out of production for decades, and was first re-released by Middleton Distillery only a few years back for European distribution. It was the first time Yellow Spot had been produced since the 1960s. A sure sign that Irish single pot still whiskey was experiencing a true resurgence. Another reason I’ve been excited about this whiskey is because it has all of the makings of a classic. It’s a single pot still whiskey, bottled at 46% ABV (Green Spot is only 40%), and it has been aged in a mix of casks–American Bourbon, Spanish Sherry and Spanish Malaga–for no less than 12 years. The whiskey will sell for about $100. On the nose, rich layers of honey, peaches, and nutmeg blend with an undercurrent of sharp black pepper spice. On the palate, honey, cocoa and creme brûlée sweetness turns into grape tones on the finish. Nutty sherry, vanilla, a big building spice, earthy and quite dry, with a complex finish that stays. This is a really delicious whiskey that is in every way a step up from its younger sibling. 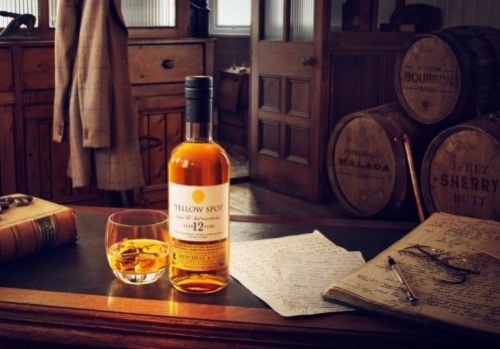 I love that this whiskey is higher proof, but on top of that, I love the rich, robust influences from the Malaga and Sherry casks that make Yellow Spot a more complex, developed and interesting offering all around. There are certainly similarities between the two whiskeys, but the Green Spot is in every way more mellow and more, well, green. Although I think both whiskies have their place and appeal, the Yellow Spot is the real star to me. Highly recommended (even for drinkers who aren’t big fans of Irish whiskey). Check out my review of Green Spot and other Irish whiskeys here.